I used to work in Nakano, in 1996, and really enjoyed my time there. Actually, that one year was probably the happiest year of my working life. I enjoyed my work, being with the people I worked with and had some good friends. 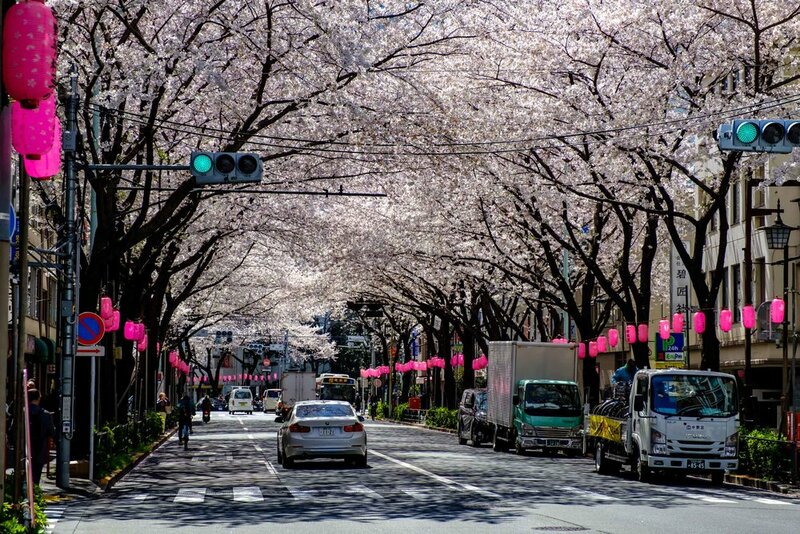 But having said that, there is one thing I didn’t do there, just one … and that was seeing the cherry blossoms along Nakano-dori, the famous street. At that time, with no internet, I just didn’t know that a great place existed just a short work from my school. It was a pity because that place has everything needed for a great day out, especially in spring. So after many years, I finally make my way back to Nakano to photograph its famous street and its trees. It is not Tokyo’s most well-known place for cherry blossoms, but I was very impressed. It is quite different. There is no place to sit down to enjoy the flowers, as it is a shopping street, but I think that is a good thing. It keeps people moving. 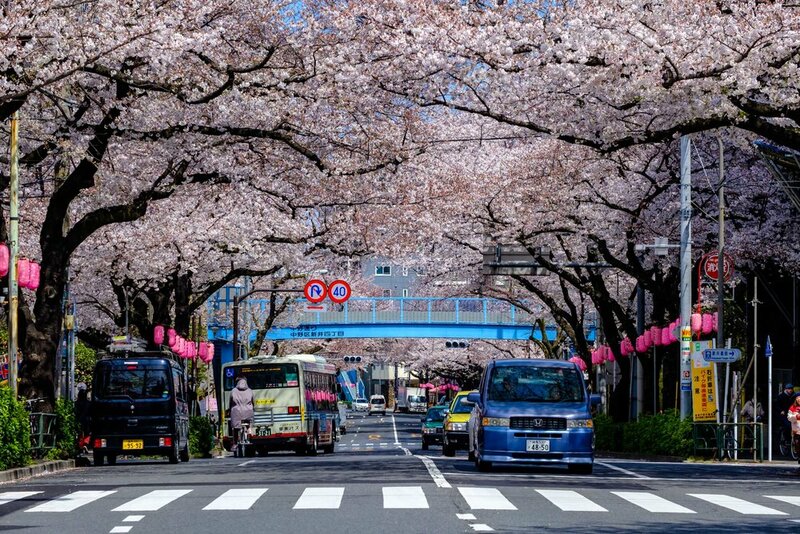 Maybe I need to find more streets with cherry blossoms before I comment though! I wouldn’t call Nakano an upscale area, but I’ve always liked it. There are a lot of places to eat and drink, plus the shopping is interesting, but nothing close to what you find in Harajuku or Ginza! It is still good though. The famous Fujiya camera store is there too! If you have ever the time, you should check Nakano out. 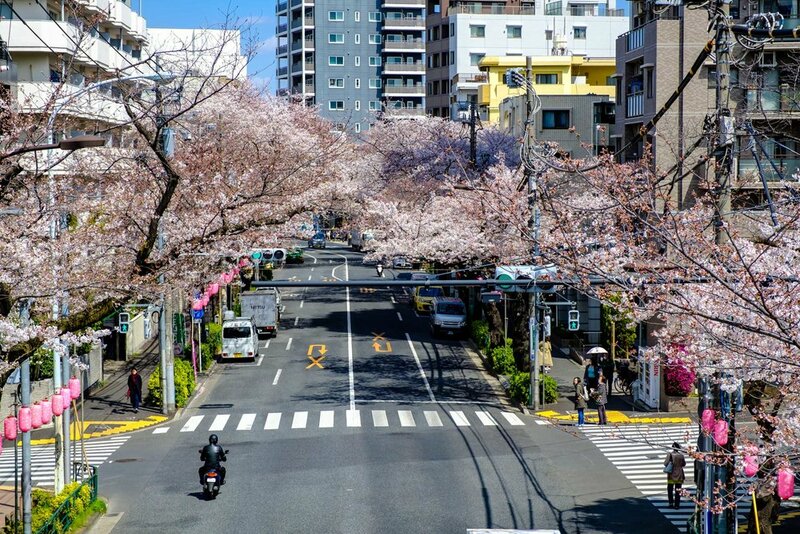 And if you are ever there in spring, definitely check out Nakano-dori as that street is very good in my opinion for cherry blossoms.